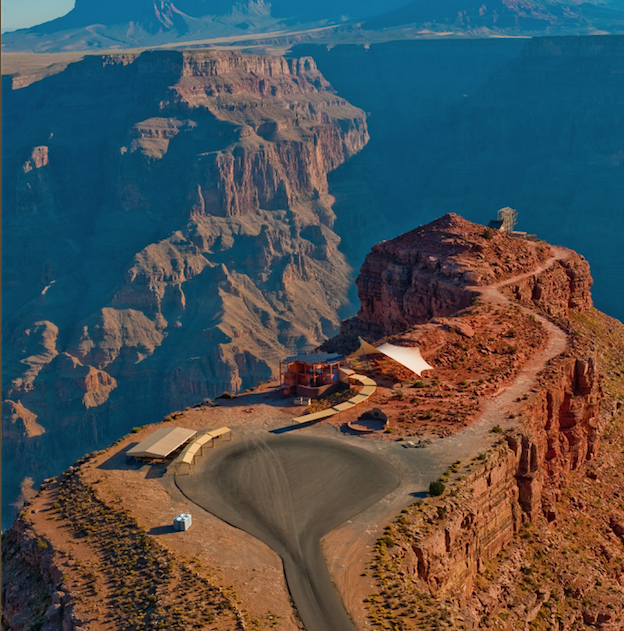 One Night Stay Brand New Ranch in West Grand Canyon, Experience Breathtaking view of Sunrise. More time for Grand Canyon West Sightseeing. One night stay at the center of Las Vegas strip, Deluxe bus, English and Chinese speaking tour guide. Depart from Los Angeles, Stop by Las Vegas. Then proceed to West Canyon, Check into the Hualapai Ranch located about 1000ft away from the canyon. Tour to Eagle Point to view the Grand Canyon. You can also experience to walk the sky with the famous Skywalk suspended 4,000 ft. above the Colorado River (This 30-millions-dollars glass bridge, can withstand the equal weight of 71 Boeing 747 fully loaded with passengers). At Guano Point to view the sunset and canyon at 360 degrees! BBQ dinner will be served at the ranch with live country music. Followed by a camp fire party! If the weather condition is good, Enjoy the different constellations in the sky. Or you can karaoke at the dinning room. In the morning, we will continue the tour to Chocolate Factory and Desert Cactus Garden. Depart for Los Angeles, on the way, we will stop at the Lenwood factory outlet mall where you can purchase famous brands at the lowest price possible. Arrive in Los Angeles in the evening then transfer you to LAX airport ( Please book the departure flight after 9:30PM).